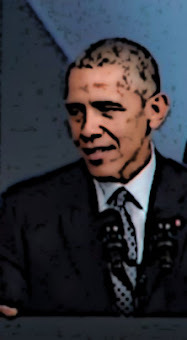 Doug Ross @ Journal: COMFORTING: Obama Assures Americans He’s Really Not "Out to Take Everyone’s Guns Away"
COMFORTING: Obama Assures Americans He’s Really Not "Out to Take Everyone’s Guns Away"
“Please do not believe this notion that I’m out to take everyone’s guns away,” Barack Obama pleaded in his Tuesday speech before the International Association of Chiefs of Police Annual Conference in Chicago (watch here). Next we need to look at who Obama was talking to. The globalist IACP is on record opposing citizen ownership of militia-suitable ammunition, firearms and body armor. They oppose efforts to roll back restrictions on the right to bear arms. They’re for enforcing existing Intolerable Acts, a “no guns” list, waiting periods, and ending private sales. And those are just the cards they’ve shown. For now. So what does Cook County State’s Attorney Anita Alvarez have to say for herself? “We strongly believe we need to strengthen our gun laws,” her spokeswoman told the Chicago Sun-Times. “I don’t think that anybody should be able to own guns,” Alvarez has said. But nobody’s talking about that, right? Here’s something else nobody’s talking about: How much “gun control” will be enough? That, of course, is a fool’s game, not only because “deals” presume to offer up concessions that aren’t the negotiators’ to make, but also because it presupposes gun-grabbers — happy to make incremental gains before screaming their next set of demands — will ever be satisfied. It makes as much sense as throwing a scrap of flesh to a circling pack of jackals and believing that will fill them up, induce them to go away and leave you alone. Yes, and more, probably along the lines of how RKBA is treated in the People’s Republic of China when it’s all said and done, assuming the gun-grabbers get their way without provoking mass defiance, noncompliance, physical resistance and more. So how about, just so everyone has a clear picture of the end game, the “gun control” advocates define what it will take to satisfy them, and what “laws” must pass for them to not only stop pushing for more, but to join in condemning and resisting new infringements? Realizing they’re not homogeneous, I’d expect different satisfaction benchmarks for the more tepid groups, like Americans for Responsible Solutions, and others that have even more oppressive demands. Those include the Bradys, Everytown, VPC and the like, all the way up (or down, depending on how you look at it) to Democratic Socialists of America, who like to sing about killing the bourgeoisie with knives and guns while stumping for disarmament. Since they’re the ones telling us they’re only interested in “common sense” and “safety,” they should specifically and unequivocally define all the “laws” they want to see enacted, at which point they will say “No more,” and use their influence to oppose any organization or politician wanting to go farther. They won’t of course. And here’s the dilemma — even if they did, key players in the Totalitarian Lobby have proven time and again what liars they are, so why should we believe them? You have to think about the signal here. Cultural Marxists alway signal their intent, you just have to learn the lingo of their dissimulation. Lying really. Of course in the larger scope, he isn't concerned with our guns, it is both our right to our property, our guns, he wants to deny us of, that delegitimizes free men, disarms us figuratively and physically of the most basic dignity of our liberty, the right and means of defense. Most importantly it is freemen he and his ilk want to take out. It is guns that kill tyrants, it is free men who have guns who kill tyrants. Spot on, Doug. Nothing will I will add, as it couldn't have been said any better. Well said. Well said indeed. +5. Wasn't this same guy that said if you like your health insurance plan you can keep it? Seems to me that I have heard this fish story before. Imagine that tactic being applied to freedom of expression...wait, strike that: It's already happening.